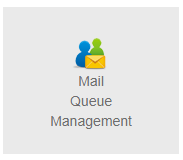 Mail queue management will help you to manage your mail.We are using Postfix in Mail queue management .There are two type of queues within Postfix: pending and differed. The pending queue includes all messages that have been submitted to postfix which have not yet been sent out and handed off to the recipient server. The deferred mail queue holds all messages that have soft-failed and need to be retired (temporary failure). Postfix will retry sending the deferred queue on set intervals (this is configurable, but is set to 5 minutes as a default). Do you know what dedicated hosting is? Dedicated hosting can be defined as a hosting service in which a single or group of servers are reserved for a single client. In Dedicated hosting, you get to own the entire web server for your website. And as you being the owner of the entire server you can do any changes on your server as per your requirements. 2. It will show you all the messages which are not delivered due to wrong email id or many messages to together. In this image the messages are not there but it you get any mail queue than it will be in this. 4. Delete a message or Deliver now with these two links. If the original delivery problem still exist then you probably will still not be able to send the message. 5. Attempt to deliver all message in Queue clicking on this you can also attempt to deliver all message in the Queue with the link. 6. When you click on each message you will see detailed information about the message and its headers. 7. You can also view the message which is written. 8. You can click on delivery mesage now to attempt delivery again. 9. as you can see, a failure message has appeared in the log. This destination hostname could be resolved the message still could not be sent. 11. The mail message is no longer in the queue , but it has been replaced with a new error email to the sender. 12. When all message in Queue - When all mail fails, click on delete all message in queue. Dedicated Website Hosting Server from HostingRaja is the best for big websites.They offer all the features and 6 different plans from which you can choose the best for your website. Using Mail queue management you can come to know how mails are not getting delivered.If you are sending bulk messages to a person or you are receiving bulk message than the server cannot handle it than it will go to this module in queue and you will get all the mails slowly. Sometime the message which you are received will go back to the sender only when it become more than how much a queue can mange.